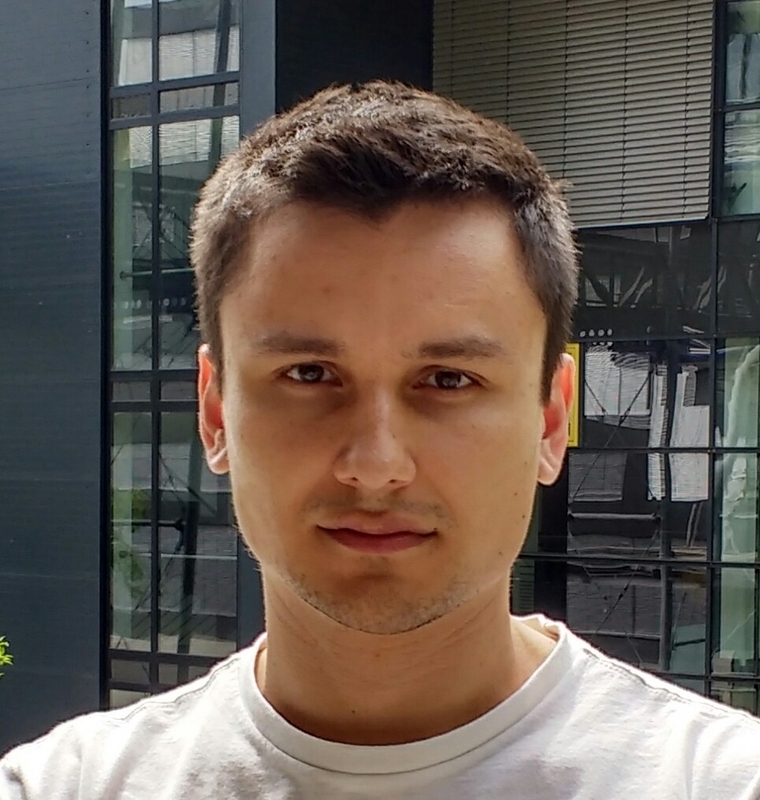 I am a 4th year PhD student at the Computer Vision group in Max Planck Institute for Informatics under the supervision of Prof. Bernt Schiele. My primary interest is developing learning models of the world that require minimal supervision. During the course of my doctoral studies I have been working on human pose estimation in unconstrained scenes and unsupervised learning of 3D representations. I had the pleasure to do an internship at the Intelligent Systems Lab at Intel led by Vladlen Koltun. I obtained my master’s degree in Visual Computing from the Saarland University. We address the problem of learning accurate 3D shape and camera pose from a collection of unlabeled category-specific images. We train a convolutional network to predict both the shape and the pose from a single image by minimizing the reprojection error: given several views of an object, the projections of the predicted shapes to the predicted camera poses should match the provided views. To deal with pose ambiguity, we introduce an ensemble of pose predictors that we then distill it to a single “student” model. To allow for efficient learning of high-fidelity shapes, we represent the shapes by point clouds and devise a formulation allowing for differentiable projection of these. Our experiments show that the distilled ensemble of pose predictors learns to estimate the pose accurately, while the point cloud representation allows to predict detailed shape models. Existing systems for video-based pose estimation and tracking struggle to perform well on realistic videos with multiple people and often fail to output body-pose trajectories consistent over time. To address this shortcoming this paper introduces PoseTrack which is a new large-scale benchmark for video-based human pose estimation and articulated tracking. Our new benchmark encompasses three tasks focusing on i) single-frame multi-person pose estimation, ii) multi-person pose estimation in videos, and iii) multi-person articulated tracking. To establish the benchmark, we collect, annotate and release a new dataset that features videos with multiple people labeled with person tracks and articulated pose. A public centralized evaluation server is provided to allow the research community to evaluate on a held-out test set. Furthermore, we conduct an extensive experimental study on recent approaches to articulated pose tracking and provide analysis of the strengths and weaknesses of the state of the art. We envision that the proposed benchmark will stimulate productive research both by providing a large and representative training dataset as well as providing a platform to objectively evaluate and compare the proposed methods. We state a combinatorial optimization problem whose feasible solutions define both a decomposition and a node labeling of a given graph. This problem offers a common mathematical abstraction of seemingly unrelated computer vision tasks, including instance-separating semantic segmentation, articulated human body pose estimation and multiple object tracking. Conceptually, the problem we state generalizes the unconstrained integer quadratic program and the minimum cost lifted multicut problem, both of which are NP-hard. In order to find feasible solutions efficiently, we define two local search algorithms that converge monotonously to a local optimum, offering a feasible solution at any time. To demonstrate their effectiveness in tackling computer vision tasks, we apply these algorithms to instances of the problem that we construct from published data, using published algorithms. We report state-of-the-art application-specific accuracy for the three above-mentioned applications. 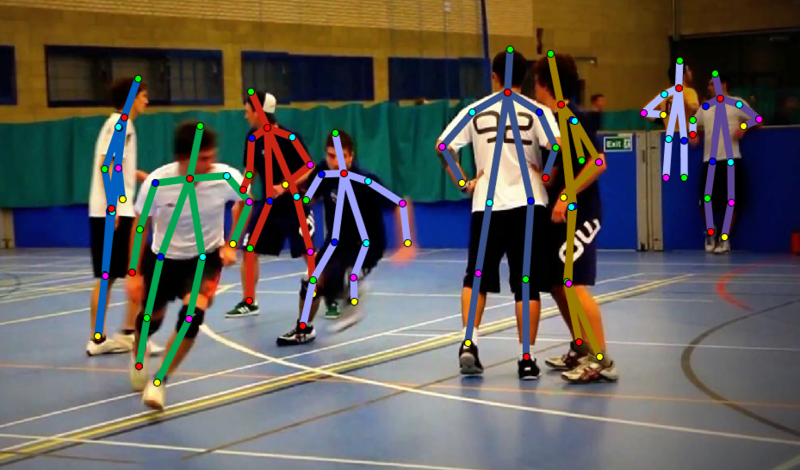 Marker-based and marker-less optical skeletal motion-capture methods use an outside-in arrangement of cameras placed around a scene, with viewpoints converging on the center. They often create discomfort with marker suits, and their recording volume is severely restricted and often constrained to indoor scenes with controlled backgrounds. Alternative suit-based systems use several inertial measurement units or an exoskeleton to capture motion with an inside-in setup, i.e. without external sensors. This makes capture independent of a confined volume, but requires substantial, often constraining, and hard to set up body instrumentation. Therefore, we propose a new method for real-time, marker-less, and egocentric motion capture: estimating the full-body skeleton pose from a lightweight stereo pair of fisheye cameras attached to a helmet or virtual reality headset – an optical inside-in method, so to speak. This allows full-body motion capture in general indoor and outdoor scenes, including crowded scenes with many people nearby, which enables reconstruction in larger-scale activities. Our approach combines the strength of a new generative pose estimation framework for fisheye views with a ConvNet-based body-part detector trained on a large new dataset. It is particularly useful in virtual reality to freely roam and interact, while seeing the fully motion-captured virtual body. The goal of this paper is to advance the state-of-the-art of articulated pose estimation in scenes with multiple people. To that end we contribute on three fronts. We propose (1) improved body part detectors that generate effective bottom-up proposals for body parts; (2) novel image-conditioned pairwise terms that allow to assemble the proposals into a variable number of consistent body part configurations; and (3) an incremental optimization strategy that explores the search space more efficiently thus leading both to better performance and significant speed-up factors. We evaluate our approach on two single-person and two multi-person pose estimation benchmarks. The proposed approach significantly outperforms best known multi-person pose estimation results while demonstrating competitive performance on the task of single person pose estimation. This paper considers the task of articulated human pose estimation of multiple people in real world images. 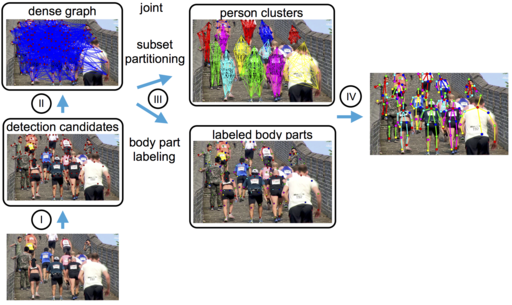 We propose an approach that jointly solves the tasks of detection and pose estimation: it infers the number of persons in a scene, identifies occluded body parts, and disambiguates body parts between people in close proximity of each other. This joint formulation is in contrast to previous strategies, that address the problem by first detecting people and subsequently estimating their body pose. We propose a partitioning and labeling formulation of a set of body-part hypotheses generated with CNN-based part detectors. Our formulation, an instance of an integer linear program, implicitly performs non-maximum suppression on the set of part candidates and groups them to form configurations of body parts respecting geometric and appearance constraints. Experiments on four different datasets demonstrate state-of-the-art results for both single person and multi person pose estimation. Above: courtesy of the Murthy (mouse), Leventhal (rat), and Axel (fly) labs. My keypoint detection algorithm from the DeeperCut paper and its implementation served as the foundation for DeepLabCut, a toolbox for studying the behavior of animals in the lab setting developed by neuroscientists at the Universities of Tübingen and Harvard. The toolbox gained significant popularity and is now used in more than 200 labs for a variety of tracking tasks. It is discussed in the corresponding Nature Neuroscience paper and was covered in the popular media such as The Harvard Gazette and The Atlantic. We gave a real-time demonstration of our Multi-person Body Pose Estimation algorithm at ECCV 2016. © 2018 · The source code of this website is based on the Academic theme for Hugo.